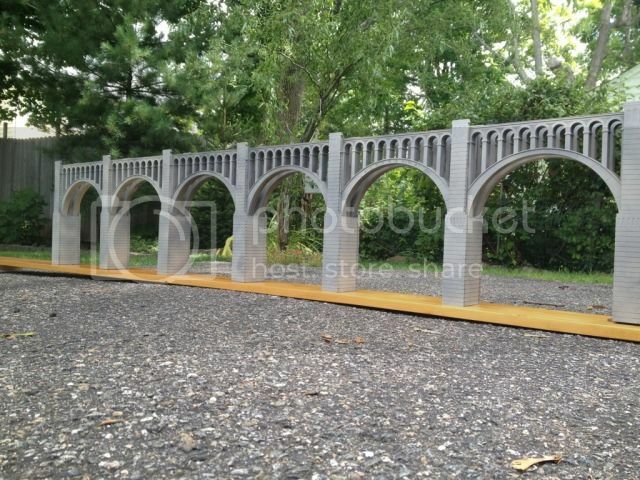 This bridge is a model, based on the Tunkhannock Viaduct. Also known as the Nicholson Bridge. 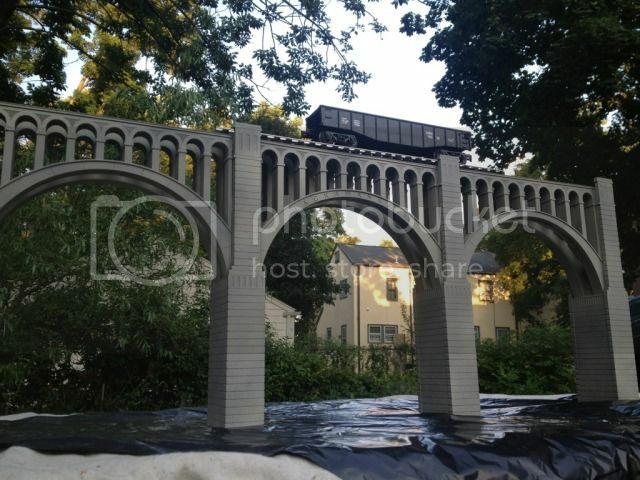 The bridge is located in NE Pennsylvania. 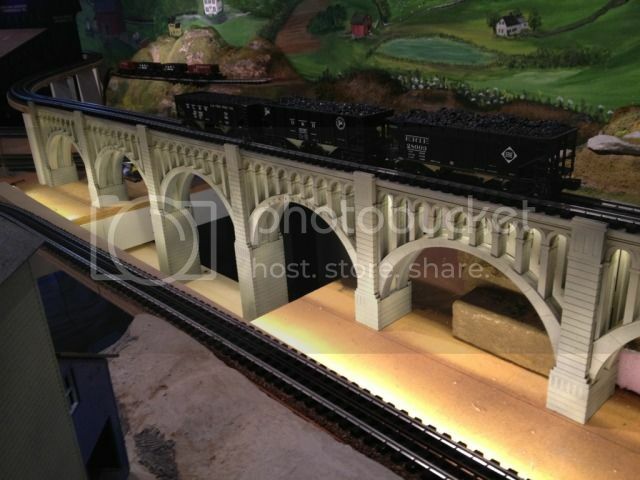 As is the layout, where the model bridge is installed. 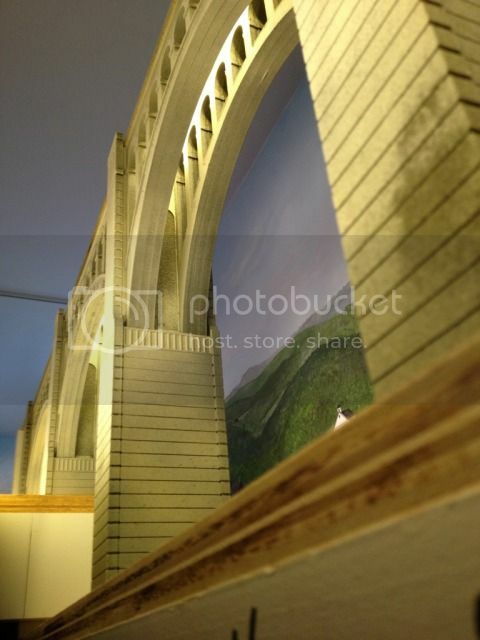 The bridge is modular in design. The spans measure 11-1/2" from center to center on the piers and the height of the road bed is 13-1/2". The design allows the piers to be cut down, to accommodate different height requirements.